with some spectacular scenic surrounding it. ethnic in Sarawak. Most villagers are farmer who are planting paddy, cocoa, pepper and fishing. this strips is split from big Bamboo, each strips is about 2-3inches wide and nearly flat. smooth, your foot will feel very comfortatble when walk upon barefooted. guide to go for activities like jungle trekking, bamboo rafting and spearfishing. will definitely like this trip and wouldnt want to leave. 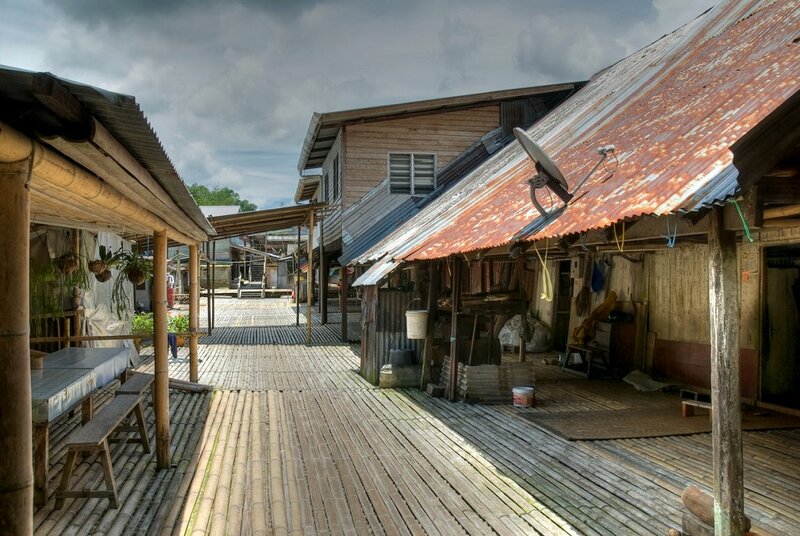 Need an enjoyable and unforgettable stay at Annah Rais Longhouse? to secure your best guaranteed lowest price accommodation at Annah Rais Longhouse Sarawak now.